The Revolving Loan Fund and the Micro Revolving Loan Fund are the principal reason for Target’s creation. Both of these programs are based on job creation and retention. The Revolving Loan Program covers $30,000 – $50,000. This program is only available to businesses in Alpena County. The funds must be used to create or retain at least one job for every $10,000 borrowed, and the borrower must be able to acquire at least two-thirds of their total financing from other sources. If you would like to apply, please use this application form. The Micro Revolving Loan Program covers loans from $10,000 – $30,000. The availability of this program is limited to Alpena, Alcona, Montmorency, Cheboygan, Presque Isle, and Otsego counties. If you would like to this application, it is available here. Are you looking to relocate your business to Alpena or the surrounding area? 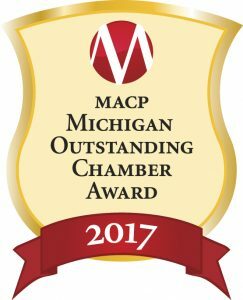 Alpena Area Chamber of Commerce can help! Jim Klarich, our Economic Development Director, is always on hand to assist with business relocation. Contact him at the Chamber office at 989.354.4181.